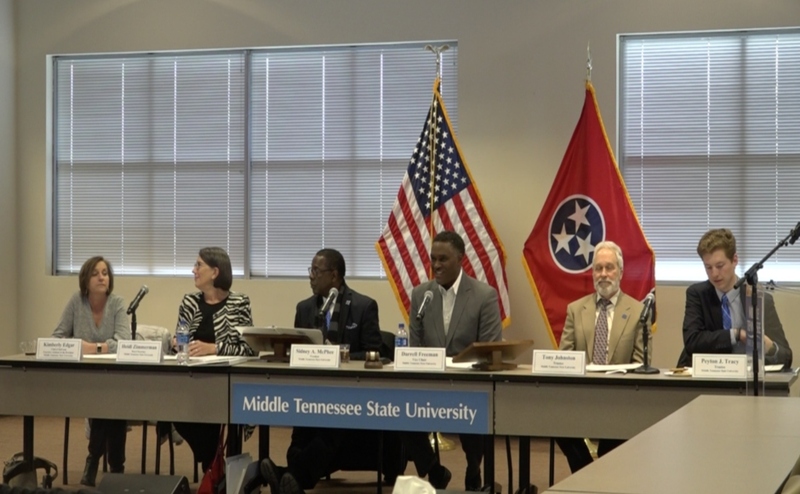 The MTSU Board of Trustees met on Tuesday in the Miller Education Center off of campus to discuss a contract MTSU President Sidney McPhee proposed regarding his presidency. This contract included an extension of his time as president at the university and a large bonus. McPhee’s annual salary is $400,000, and if he remains president at the end of the new contract, he will receive a bonus of $250,000. 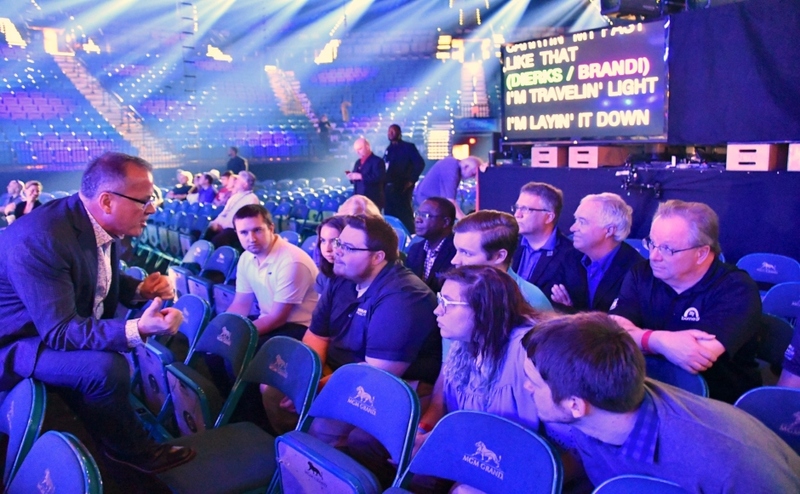 “The Executive and Governance Committees moved to recommend approval of the president’s contract to the full Board of Trustees,” said Andrew Oppmann, the MTSU vice president of marketing and communications. The contract would extend McPhee’s time as president for another five years if it is approved by the Board of Trustees. He became MTSU’s president in 2001, and if his contract is extended, he will be president until 2023. McPhee has been the longest sitting president at the university ever. Darrell Freeman, the Board of Trustees vice chairman, spoke on why he thinks McPhee is an asset to the university. “As a board, you always want to have your leader locked down for a while, so that helps us as we continue to grow as a university to improve graduation rates and to know that we have a leader on board for the upcoming years,” Freeman said. When asked why there was a raise in pay for McPhee, Freeman addressed that the university hired someone to research salaries. “We hired a consultant to do a nationwide study, and we discovered that he was at the bottom of the pay range and so we kind of moved him up near the middle,” Freeman said. The board will meet next on Dec. 11, 2018, and they will either approve or deny the contract that has been proposed. 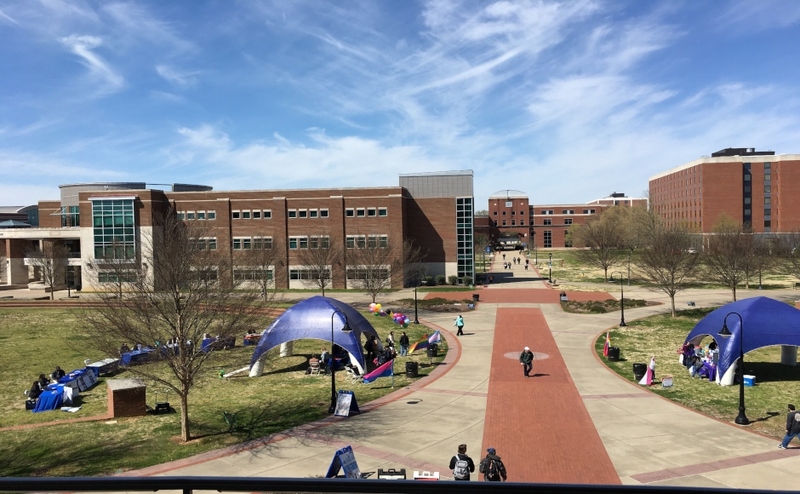 “I just think that we can be assured now that we have a leader for the next five years to help run this university and to improve the quality of education here,” Freeman said.